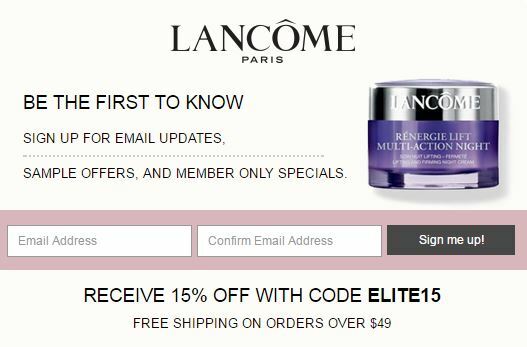 If you love Lancôme, sign up HERE for their emails and be the first to learn about Free Samples and special offers for members only! Plus, you can get 15% off your purchase when you use Code ELITE15 at checkout. See more great freebies HERE!